Was it Inspiration or Plagiarism? Plagiarism is a hot topic, and also a messy topic, especially nowadays when it’s difficult to separate original thought from the mass of ideas we’re bombarded with each day via a vast variety of medias. We all know not to rip an image from Google and drop it into our website or brochure, but some lines are blurrier. The image created from the photograph was still recognizably the AP photographer’s image. Fairey even knew he was in the wrong—when bringing evidence to trial, he purposefully destroyed record of and omitted presenting the image he actually used for reference, instead showing an image that was from the same event, similar, yet clearly different from his poster. The poster has undoubtedly brought more recognition to the designer than the actual photograph did to the photographer. This may not be as much a legal problem as a, “hey man, what gives?” problem. 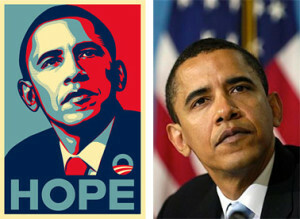 Search Google News for Shepard Fairey, and most of the articles about him refer to him as the creator of the “HOPE” poster. According to the AP, Fairey earned $400,000 in sales on the image, without a dime of it going to the AP. Milton Glaser, a leading voice in the design world for decades, even felt like this was too close. All that said, I feel for the guy. I mean, how easy is it to schedule the president for a sitting so you can create a poster for him? However, an artist ought to know the legal side of things before they start selling work, and he should have tried to collaborate with the photographer ahead of time. The AP and Fairey ended up settling out of court for an undisclosed amount of money. 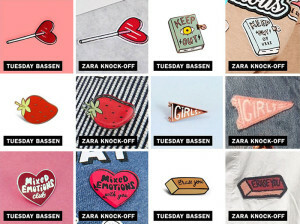 In another example, illustrator and designer Tuesday Bassen “allegedly” had her work stolen by the international clothing company, Zara. Bassen’s memorable pins and buttons were almost blatantly ripped, and when she brought Zara to court, they essentially said she was too small to have any significance. In other words, “We win because we’re more powerful.” Zara stealing Bassen’s work has led to the discovery of many more artists whose work has been hijacked by the international company, sans credit or royalties. Most of what we see is pins and buttons, but there may be independent clothing designers who have had their work taken as well. Another notable and somewhat recent rip in the design world is just a straight up mess. When the 2016 Rio Olympics logo was unveiled, someone noticed the similarities between their logo and the Telluride Foundation’s logo. Since the Telluride Foundation’s logo came first, most thought that the Brazilian agency, Tatil, had reinterpreted their icon for the 2016 Rio Olympics. The Telluride Foundation even hired a copyright lawyer to get involved and protect their mark.. The two icons are arguably different when you compare the amount of people, the overall shape, the omission of red in the newer logo, and the closure of all the ends on the human forms on the Rio logo. I don’t know if a proper lawsuit was ever filed, but I feel like there was enough of a difference that it shouldn’t have been an issue. Not to mention forms linking hands/arms is not uncommon in the world of logos and graphics. 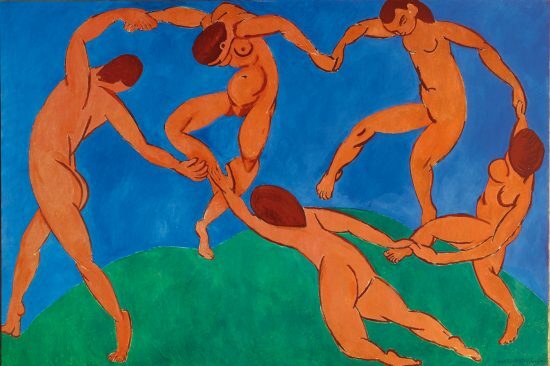 Then many started noting that both logos had a lot of resemblance to Henri Matisse’s painting, the Dance. Still, it seems far more like inspiration than theft. 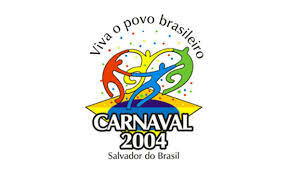 But then, someone over at the Logo Factory finds the 2004 Carnival Logo. Now, I am partial to Telluride. I honeymooned there and now have a friend who lives out there, and truly, the area is utterly breathtaking. But there is no denying that their foundation’s icon (which has since been converted to all-blue on their website) was a direct steal from the 2004 Carnival Logo from Brazil. And the irony of the locations is almost too much. There are countless other examples of theft in the design world, most of which goes unnoticed, even by the original artists. But with things like Google Image Search, it has become easier to recognize design theft. The moral of the story? Be original.